This page provides various types of information that can be useful when testing on Catalan public roads. This map shows you where to expect rain in the next hours, so you can adapt your (test) plans accordingly. Need rain? Just follow the clouds on the map. This map shows the general weather forecast for the next 10 days. This map provides various types of information related to traffic on Spanish roads. For example traffic densities, road works and incidents. But also location of publics services like petrol stations, charging stations or parkings. The RACC Automóvil Club assists more than 10 million people anywhere in the world, helping to improve their well-being through useful, fast, efficient and high-quality services. 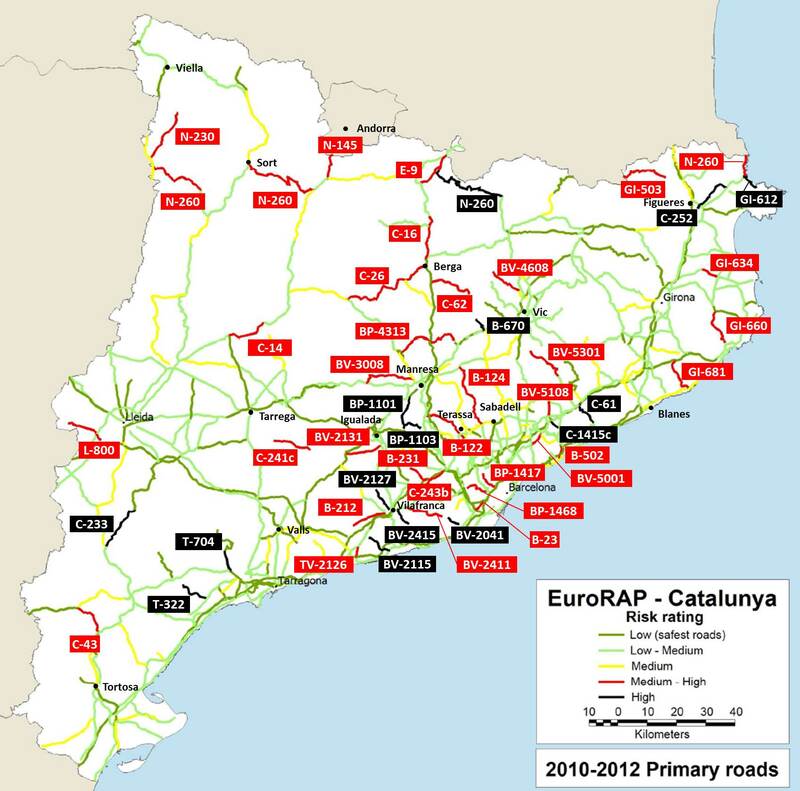 This map shows an objective view of where people are being killed or seriously injured on the Catalan road network and where the crash risk is greatest. This overview shows the combined risk arising from the interaction of road users, vehicles and the road environment. Because the large majority of fatal and serious crashes occur outside major towns and cities, this risk map concentrates on interurban and rural roads. European Road Assessment Programme (EuroRAP) is an international nonprofit organisation that assesses roads in Europe to show how well they protect life in the event of a crash. It is a sister programme to EuroNCAP, and seeks to improve road safety through road design. 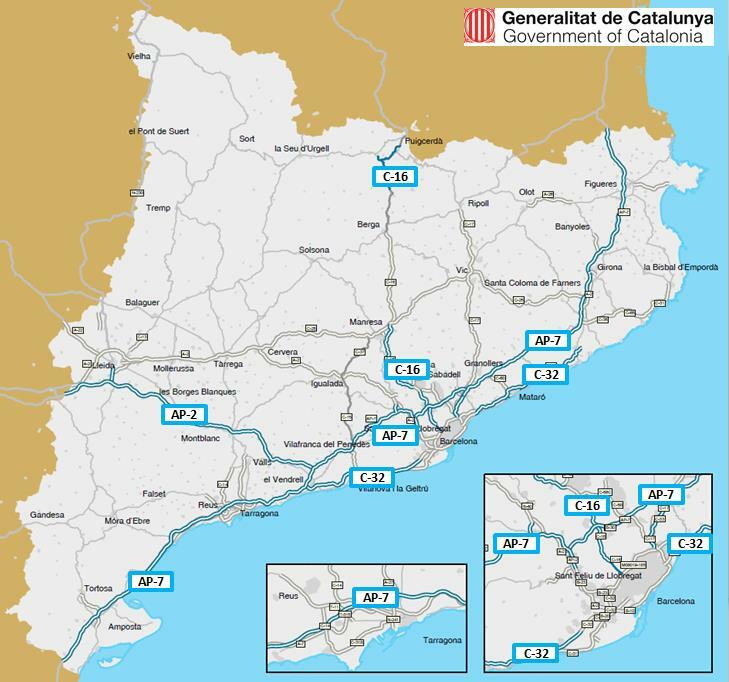 This map shows the Catalan roads on which users pay toll. In most cases, payment occurs manually at a tolling station with a barrier at which a vehicle has to stop. In some cases, payment occurs at drive-through tolling station. Take into account our disclaimer applying to this page.